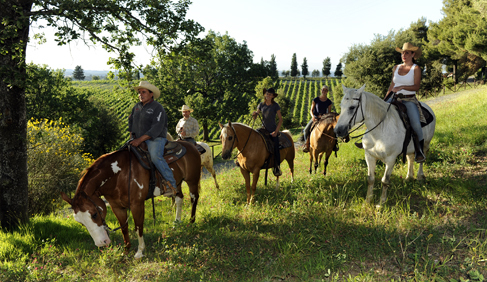 Tuscany Farmhouse, Resort & Spa Riding Holidays are unique due to the quality of their horses, facilities, riding and experienced, friendly staff. 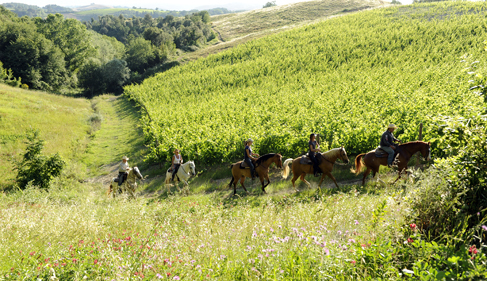 These riding vacations at Castellare di Tonda Resort & Spa have been designed to include a variety of landscapes; shady Mediterranean forests, rolling golden grain fields, vineyards and olive groves. 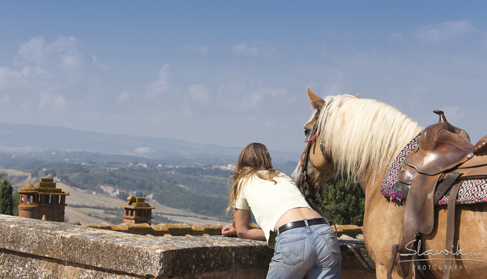 Stop for a gelato while you ride through a cobblestoned medieval village. 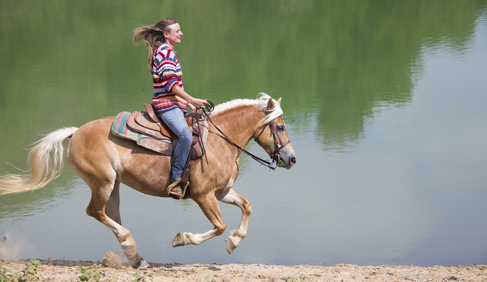 Visit ancient castle ruins in the middle of a forest still inhabited by wolves and wild boar, and enjoy taking your horse for paddle in the water of the estates own private lake. 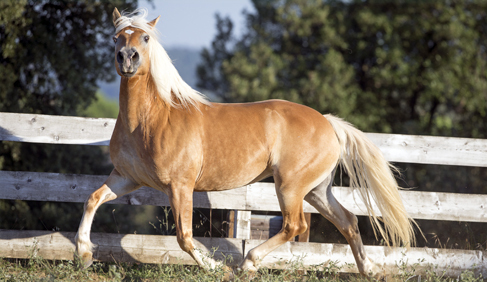 The estate breeds and trains Quarter horses and Paint horses. 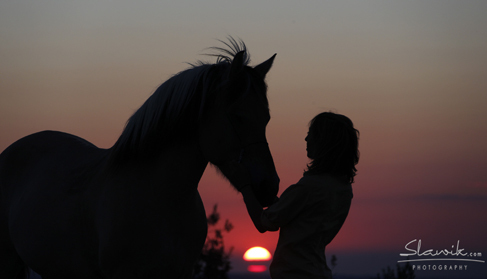 You can enjoy watching the foals frolicking with their mothers, stallions in training, and young horses starting their career with the trainers. 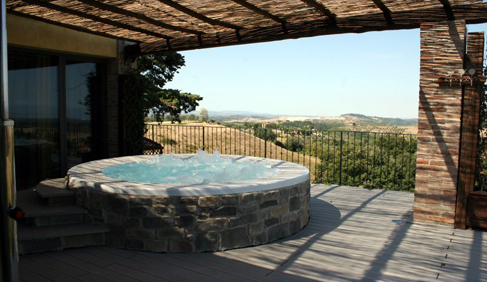 This Country Resort and Spa is located in the heart of Tuscany. 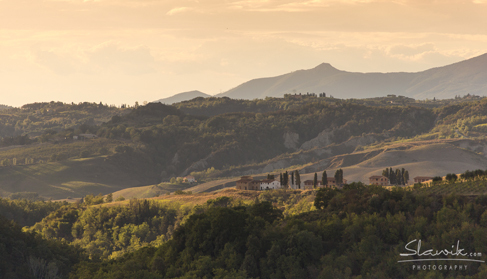 The estate is located near Florence above the medieval village of Montaione. 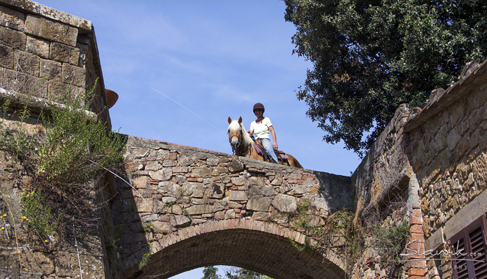 The owners of the estate Stefano and Alessandra are passionate about their horses and riding, and have invested extensively in the facilities of the stud farm and equestrian center. 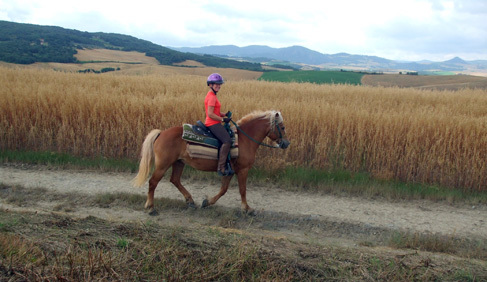 Guides are locally qualified and know how to match horse and rider perfectly for an enjoyable Italy riding vacation. 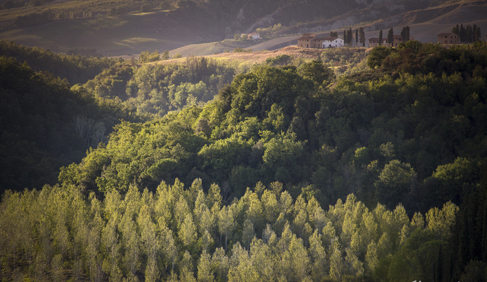 Although the term environmental sustainability has become a buzzword the last few years, it has always been a part of the daily life of this working farm in Tuscany. 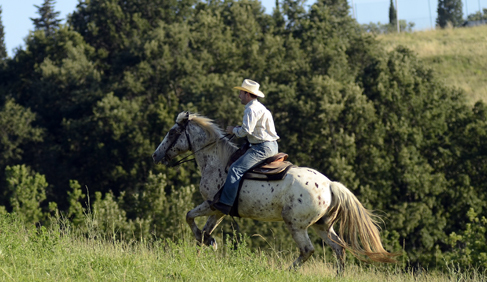 The farm has a close relationship working with the land. 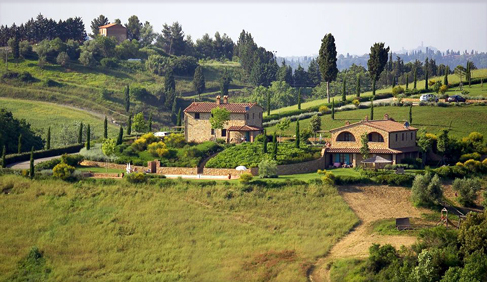 The owners are dedicated to making sure families will be able to enjoy this Tuscan estate for many years to come, striving to be good environmental stewards while providing the modern amenities that many have come to expect. Guests receive a complementary bottle of wine on arrival to enjoy out on their own little terrace. 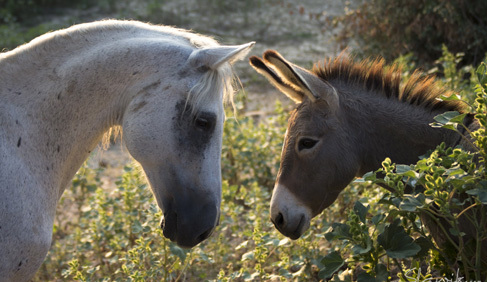 Dining on the farm is a delightful experience. 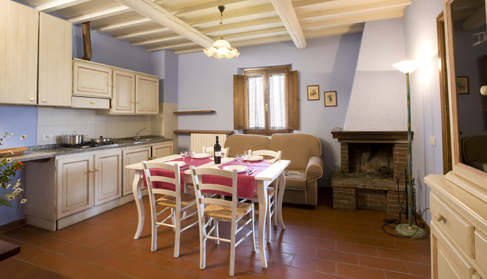 Italians are very proud of their regional cuisine, and at this resort, this is no exception. Meals are prepared with the freshest of seasonal ingredients in the resort's own restaurant. You will enjoy eating Al fresco on the terracotta terrace during the summer months once a week a local musician plays Italian music while you dine. 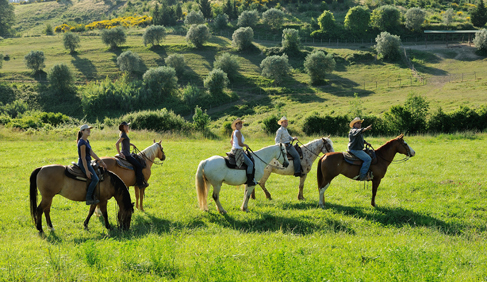 The farm has one of the widest ranges of activities available in Tuscany. 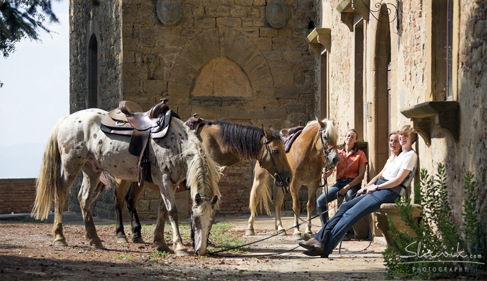 Mountain bike hire is available, onsite spa, largest golf course in Tuscany (neighboring the estate), marked walking trails throughout the 400 hectare estate, wine tasting (from their own private cellar), and excellent sightseeing opportunities due to the enviable location of the estate (equal distance between Florence, Pisa and Siena and only 20 minutes from Volterra and San Gimignano).